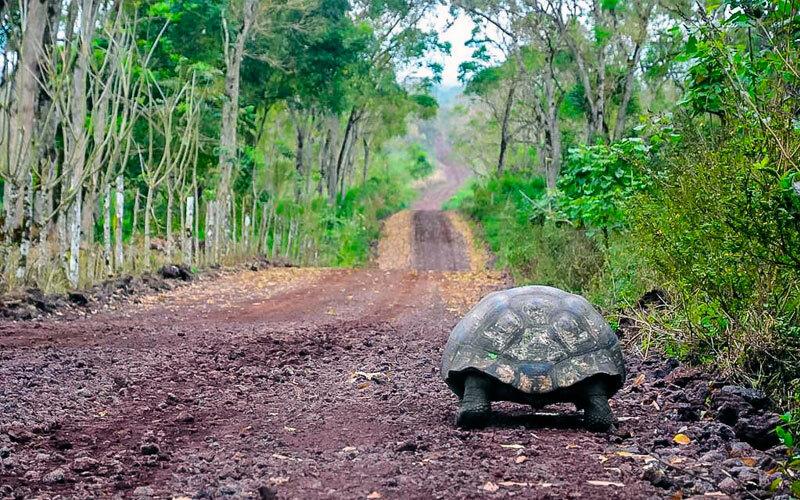 When you finally take your trip of a lifetime and visit the Galapagos Islands, you have the option of arriving at one of two islands: San Cristobal Island, or Baltra Island. The San Cristobal Island is very close to town, but landing at the Baltra Island airport means transferrin from Batra airport to Puerto Ayora. Baltra Island is located just North of Santa Cruz Island in the Galapagos. The original airport and track at Baltra was a US Military base during WWII. Now Baltra Island is home to the small airport that receives daily flights flying from the cities in Quito and Guayaquil in mainland Ecuador. It’s important to stress that there are no International flights to the Enchanted Islands. 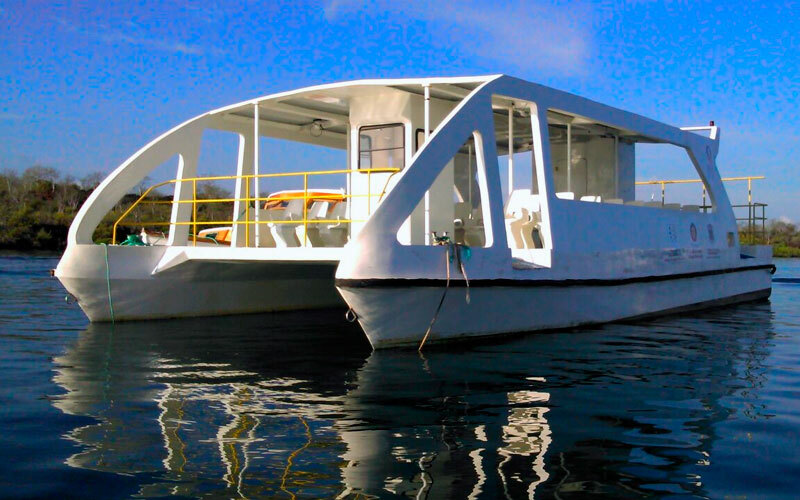 Apart from the airport, there is not much to be seen in Baltra, so you will need to head to the “Canal de Itabaca” weather for taking your cruise, of for riding to Puerto Ayora, where the real Galapagos adventure will begging. 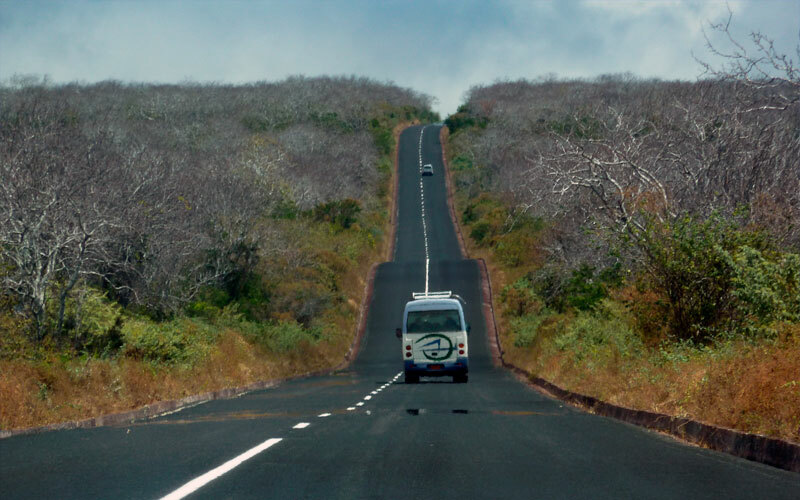 Getting to Santa Cruz will take you around 40 minutes once you have crossed the Itabaca Chanel. Underneath you will find a a more detailed explanation on what to expect when transferring from Baltra to Puerto Ayora. Once you have collected your luggage and presented your luggage tag to the staff member at the exit, you need to catch a bus that will take you to the Itabaca channel. These busses are parked outside of the arrival terminal if by any chance there is no bus, just relax, one will arrive soon. You can place your bags in the baggage compartment, or carry them onto the bus with you. The bus ride takes around 5 minutes and drops you off at the Itabaca Channel which flows between Santa Cruz and Baltra. At Itabaca Channel, you take your bags to the ferry, and place them on the roof! The cost of the ferry is 80 cents US for the crossing, and takes about 10 minutes. It´s a great opportunity for some first pictures of the Galapagos: crystal blue waters, lush green foliage, and hot blue skies! 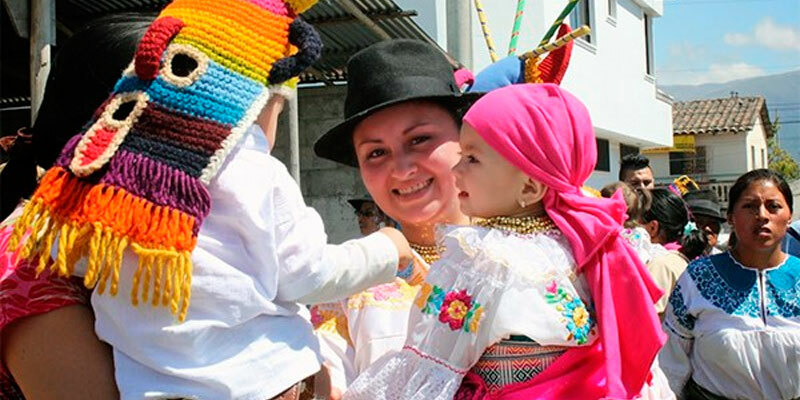 There is so much to do in Puerto Ayora, and several visitor sites along the way from the Itabaca Channel. 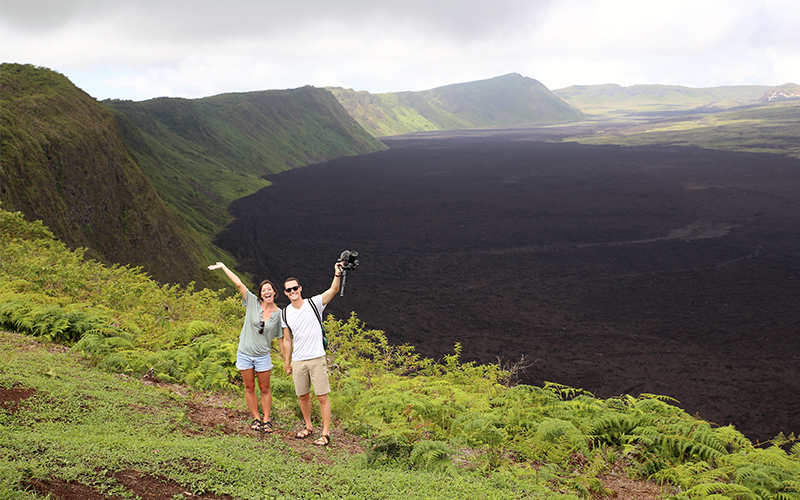 Get in touch with one of our sales assistants at www.galapagosislands.com for more travel tips and things to see and do! Taxi: Taxis in Santa Cruz are white pickup trucks. The cost of a taxi from the canal to Puerto Ayora is $15.00. There will be drivers waiting at the dock offering to take you into town. Make new friends in order to split the cost. The driver will take you to any destination in town. When you finally take your trip of a lifetime and visit the Galapagos Islands, you have the option of arriving at one of two islands: San Cristobal Island, or Baltra Island. The San Cristobal Island is very close to town, but landing at the Baltra Island airport means shuffling down to Puerto Ayora. But how do you do that? 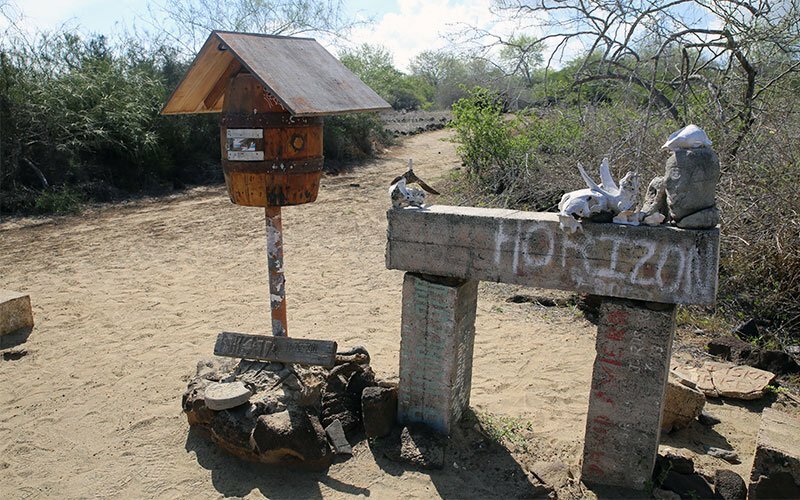 Baltra Island is located just North of Santa Cruz Island in the Galapagos. The original airport and track at Baltra were a US Military base during the second world war. 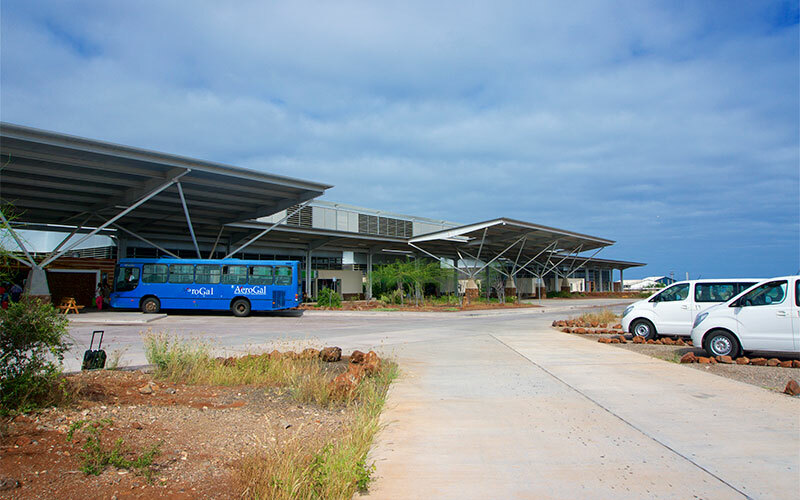 Now , Baltra Island is home to the small airport that received 163, 4800 passengers in 2009, (http://www.galapagospark.org/onecol.php?page=turismo_estadisticas) , boasting an average of 4 flights a day! Once you land on this small historical island, you ´ll need to head into Puerto Ayora if you do not have a direct connection to your cruise.